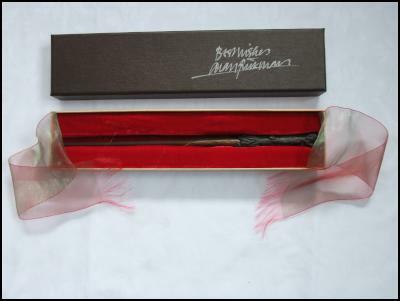 A Harry Potter wand donated to Stars4Kids in New Zealand is up for auction on Ebay Australia to coincide with the release of the final Harry Potter movie, The Deathly Hallows – Part 2. The wand was generously donated to Stars4Kids by Alan Rickman who stars as Professor Severus Snape in all of the incredibly successful films. Stars4Kids was launched in May to help raise funds for two Christchurch quake damaged schools in Christchurch. Items donated by some of the world’s most famous celebrities have so far raised over $10,000 with all proceeds going to Avonside Girl’s High School and Shirley Primary School in Christchurch. Both schools were badly damaged in the February 22nd earthquakes and sustained further damage following the quake on June 13. Organiser Mandy Cook said today “This is an amazing item for Stars4Kids. I understand there has been one other signed wand Mr Rickman has given to a charity and that was last year, so currently we have the only one available worldwide.